Luiz Celso Hygino da CruzJr. We read with great interest the article by Keser and Aksu  published in Rheumatology International, entitled “Diagnosis and differential diagnosis of large-vessel vasculitides”, in which the authors provided an excellent review of diagnostic criteria and the differential diagnosis of Takayasu and giant cell arteritis. 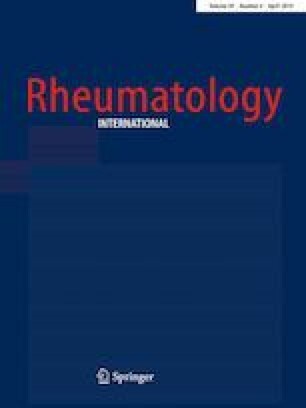 We would like to discuss the role of high-resolution vessel wall imaging, a magnetic resonance imaging (MRI) technique not mentioned by the authors, in the diagnosis of giant cell arteritis and secondary superficial temporal arteritis. We present two cases of temporal arteritis caused by giant cell arteritis and varicella zoster virus infection, respectively. The present work was carried out with the support of CNPq, National Council of Scientific and Technological Development—Brazil. CDG: substantial contributions to the conception of the work, acquisition of data for the work; drafting the work; final approval of the version to be published; agreement to be accountable for all aspects of the work in ensuring that questions related to the accuracy or integrity of any part of the work are appropriately investigated and resolved; SDGO: substantial contributions to the design of the work; analysis and interpretation of data for the work; revising the work critically for important intellectual content; final approval of the version to be published; agreement to be accountable for all aspects of the work in ensuring that questions related to the accuracy or integrity of any part of the work are appropriately investigated and resolved; CLCH: substantial contributions to the design of the work; analysis, or interpretation of data for the work; revising the work critically for important intellectual content; final approval of the version to be published; agreement to be accountable for all aspects of the work in ensuring that questions related to the accuracy or integrity of any part of the work are appropriately investigated and resolved. Diogo Goulart Corrêa declares that he has no conflict of interest. Diogo Galheigo de Oliveira e Silva declares that he has no conflict of interest. Luiz Celso Hygino da Cruz Jr. declares that he has no conflict of interest.